With over 14 years of stem cells research, 100k beauty reviews and 25 million bottles sold, Advanced Génifique is our #1 youth-activating serum for all women - any age, ethnicity or skin type. This powerful anti-aging serum is your ultimate face, neck and decollete repair serum to target all signs of wrinkles, fine lines, puffiness, and signs of aging. Drop by drop, skin feels restored, rejuvenated and youngerat your fingertips. Patented until 2029. On cleansed skin, apply three drops of Advanced Génifique Serum evenly across your face and neck and gently massage the formula. Follow with your recommended face cream or corrector. 20 million units sold worldwide. Revive youthful radiance in 7 days. 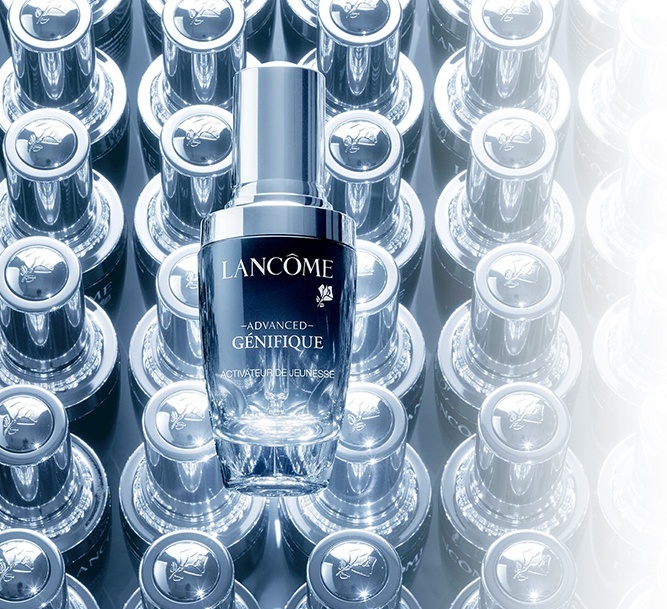 What Lancôme is doing for me Using their in-depth knowledge, Lancôme has developed an iconic serum after 14 years of cutting edge research and groundbreaking discoveries. Protected by 9 patents, Advanced Génifique Serum repairs and activates 10 signs of youth.